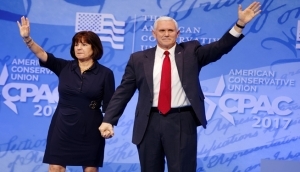 Karen Pence, the wife of Vice President Mike Pence, will be in the Pikes Peak region on Thursday. Second Lady Pence will deliver a speech at Fort Carson to military spouses. She’ll also be handing out gifts to children who have a parent deployed overseas.